The Nokia Lumia 1020 has been available in the US for some time now, and has even had its on-contract price slashed already. In China, the phone has been available for over a month now with a price of $980 for an unlocked device. 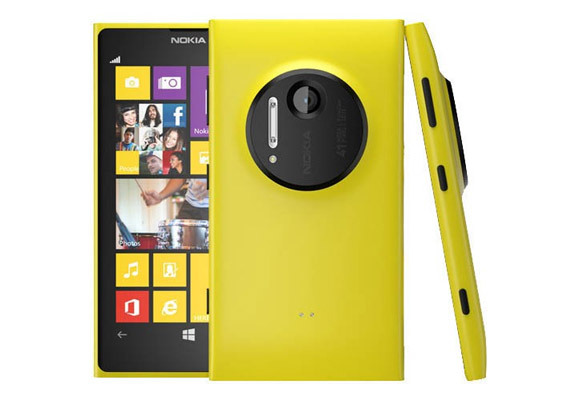 In Europe, however, Nokia fans haven't been so lucky with the availability of the Lumia 1020. Thankfully, these last couple of days we've been getting reports about its availability from all over the place, including the UK, Poland, Italy and Bulgaria. Nokia's latest Windows Phones is already in stock at those places and possibly, elsewhere too. In the UK, the phone has been up for pre-order for more than a week already. It's still not available everywhere, but there are some online stores that have it in stock for a price tag of £599.99. This pretty much matches the price of the phone in China, so it's not really overpriced. The phone is available in yellow or black, but a recent report pointed at a red version hitting Italy soon. Disclaimer: We are not affiliated with any of these stores and we do not endorse purchasing through any of them. We are merely researching the most popular options and these are not necessarily the best deals available. By all means, shop around before you commit to buying your Nokia Lumia 1020.